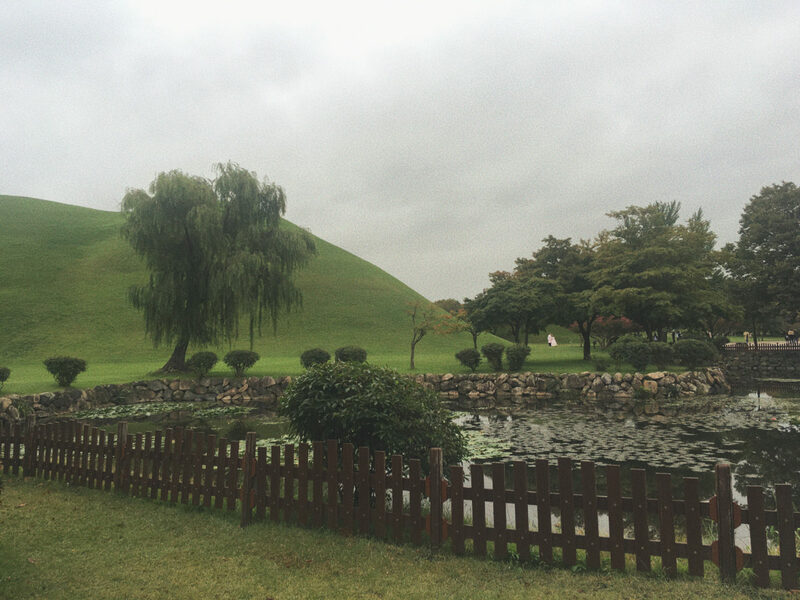 We had decided the previous night to visit Gyeongju, weather permitting. But waking up to heavy rain, we headed towards Daegu instead. Nevertheless, our navigation skills coming out of Busan were a bit weak and we ended up on the road to Gyeongju, choosing just to go with it. Thankfully the weather started to clear as we got nearer the city. Gyeongju itself is very different from the cities I’d visited previously on this trip. For a start, most of the buildings were built in the traditional style, creating quite a low skyline. I was told that there is a 6-storey limit to any new buildings in the city, at least around the old part, so as to preserve the city’s history. 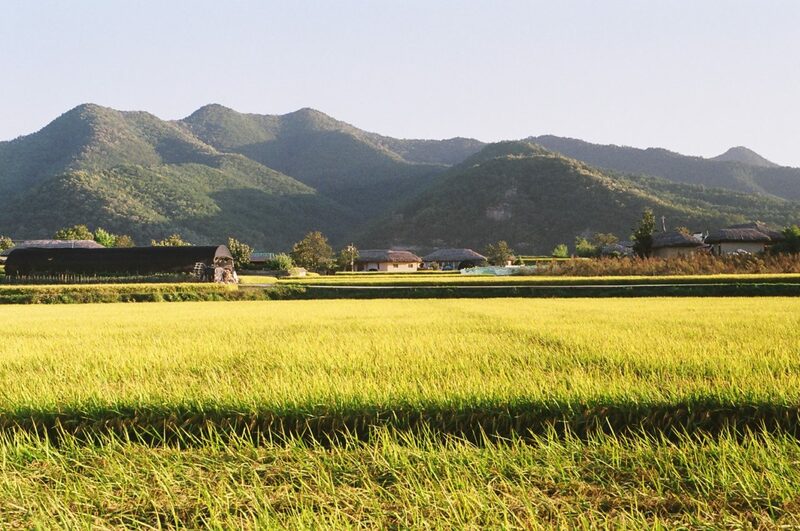 Gyeongju is one of the main cultural destinations in South Korea with plenty of attractions dedicated to the cultural heritage of Korea’s past, and has the country’s only national historical park. We arrived at at the Gyeongju Historic Area in the early afternoon. 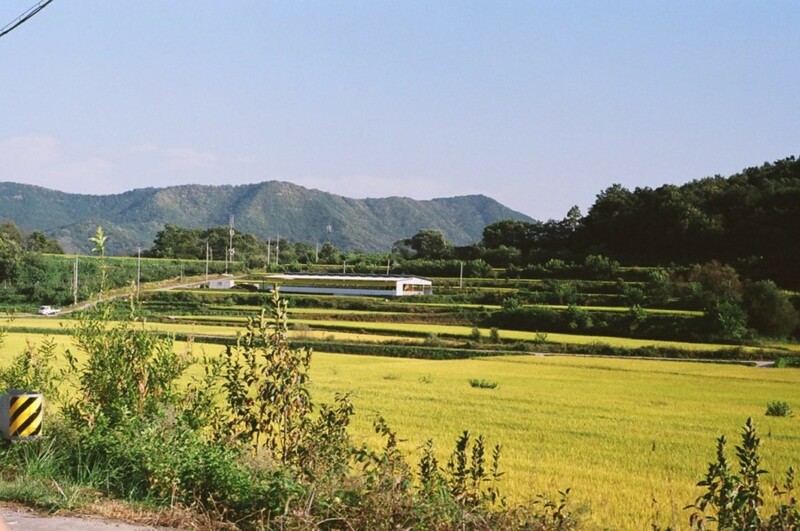 This area contains many of the historic heritage sites from the Silla Kingdom, including Donggung Palace and Cheomseongdae, the oldest observatory in Asia. We chose to have a look around the Daereungwon Tomb Complex. The complex has many of the tombs of the Kings and Queens of the Silla period set in picturesque surroundings. The tombs themselves are big mounds of earth protruding out of the ground covering a wooden coffin in the centre that contain precious relics for the buried to take into the afterlife. The most important royals got buried in the biggest tombs. The largest in the complex, Cheonmachong Tomb, rises up to about 12m and has a diameter of 50m. After Gyeongju we headed west, driving for about an hour before arriving in Daegu. We grabbed some food, jjajangmyeon (black bean noodles), in the city centre and found a nice jazz bar to spend the rest of our evening. Our friend who joined us in Busan hooked us up with a night in a jjimjilbang – Korean spa. We got there quite late a night, having to tiptoe around the people sleeping on the floor to make use of the saunas and salt rooms. We spent the next morning cleansing in the baths and had a breakfast of baked eggs and Sikhye (sweet rice drink). Feeling like new people, we left Daegu. 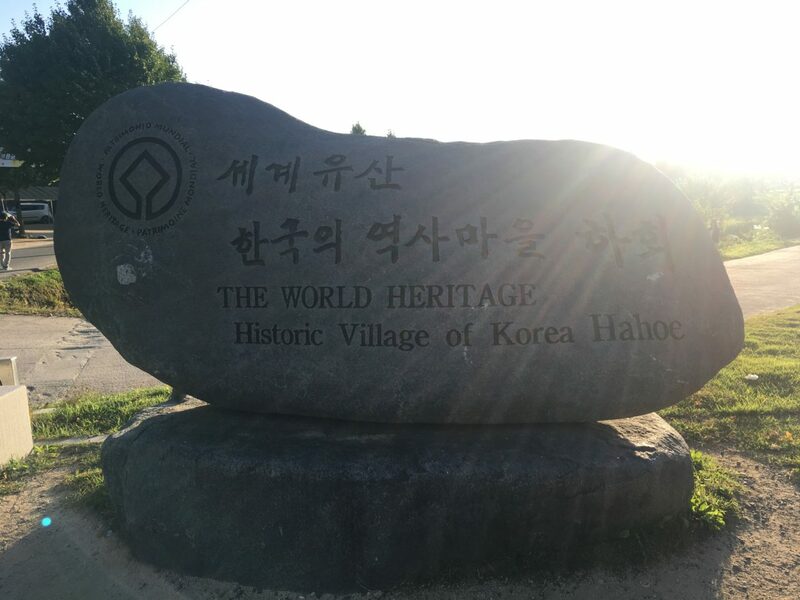 On our way up to Andong, we made a detour for Hahoe Traditional Village. We pulled up to the car park and the shuttle bus took us into the village. 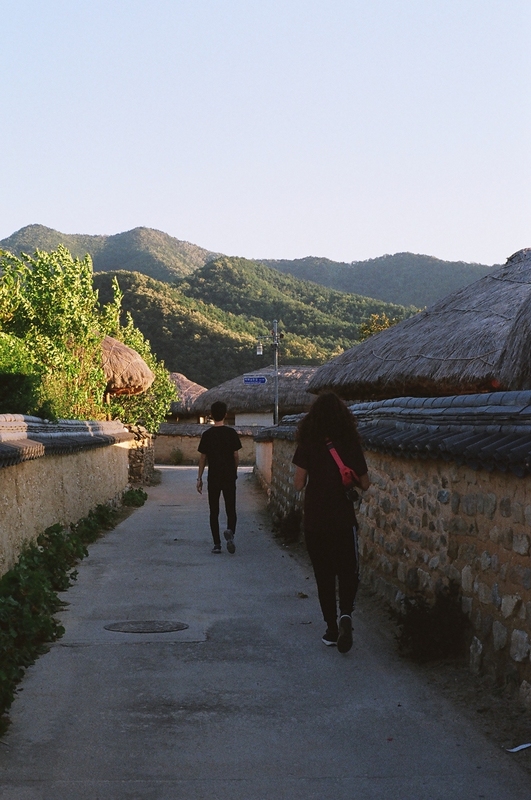 The village is set inside a bend of the Nakdong River, acting as a natural barrier with spectacular mountains rising to the east. It is a fantastic place to spend an afternoon, walking between the thatched houses, and we were lucky enough to catch the sunset down by the river bank. 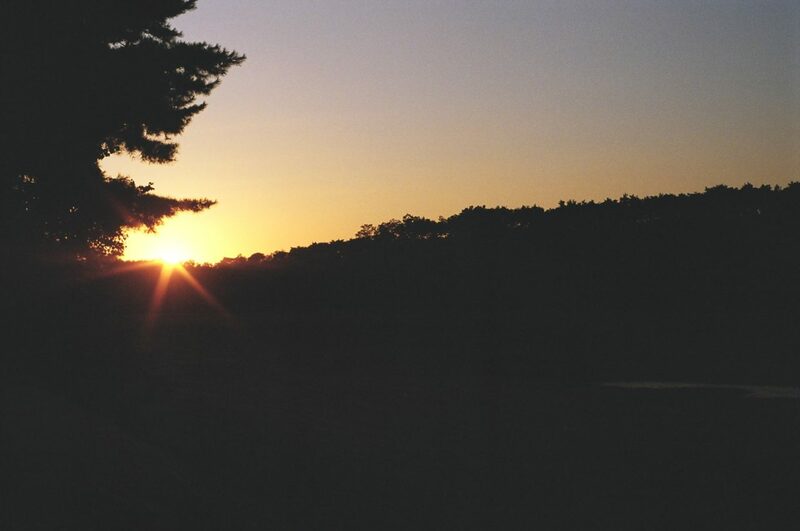 It was a short drive to Andong, where we would stay for the night, choosing again to camp. We found a spot by the river, pitched our tent and headed to check out the city centre. We had arrived amidst the mask dance festival, a long standing cultural tradition in Andong. After our dinner of Andong-jjimdak (steamed chicken) with Andong Soju, we checked out the festival. Sadly we arrived too late and missed the mask dances, but were able to go and soak up the atmosphere and see some live music. We would head up into the mountains of the north east the next day.